Mathare United assistant coach Salim Ali says the team will focus on hunting for a top four slot after seeing their chase for top honors crushed, going 10 points behind leaders Gor Mahia. Mathare were seen as possible title contenders when the season kicked off after a good start but saw their steam wane off. “For a team that finished eighth last season, our realistic target is finishing in the top four and that remains what we want to work for. It is only people out there who were saying we are going for the title. But for us, we know what we want and that is what we will work for,” Salim said. 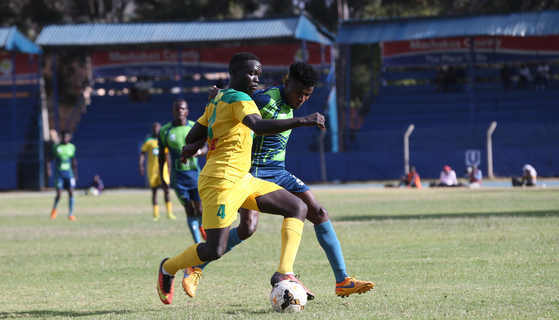 The Slum Boys suffered a 1-0 loss against KCB in midweek and will try to fight for redemption when they take on Tusker FC, another side struggling for results, at the Afraha Stadium in Nakuru. Mathare are looking to jump back squarely into a strong top four slot and three points against the brewers will assure them that. “We need to do some bit of work on finishing because against KCB we had some chances to score, some very open but could not finish. We expect it tough against Tusker but we know that as a team we have the character to bounce back,” Salim noted. The Slum Boys won 2-1 in the first leg and will be looking to complete a double over the brewers. It is always tough between these sides with Mathare winning six of their 21 meetings and Tusker winning seven.